Are you facing any issues on your website ?. I am glad to help you to fix your website. I'll fix your all WordPress,CSS or HTML errors, I'll do anything. 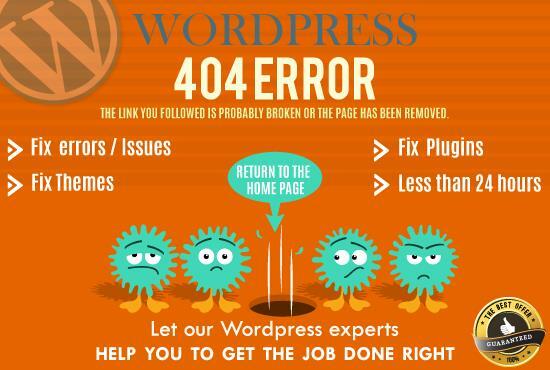 My experience allows to quickly and effectively troubleshoot any issue you are having with WordPress and get it resolved for you. I have over experienced in WordPress development and even i have developed lot of WordPress plugins as well. Over past years i have create unique WordPress websites. I have successfully fixed over WordPress issues for customers. So let's get your website fixed & make it rolling again.